There’s nothing worse than when your furnace breaks down in the middle of a cold winter day. 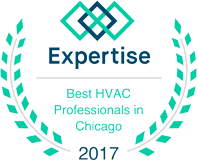 You want your house to be nice and warm, but when your heating system refuses to cooperate, you need an expert team that can provide the necessary repairs. At G&R Heating and Air, we can diagnose your furnace problem, replace the faulty parts, and get your system up and running again in no time. If you live in Elgin, contact us right away! One of the best ways to prevent a furnace breakdown in the middle of winter is to schedule regular maintenance. 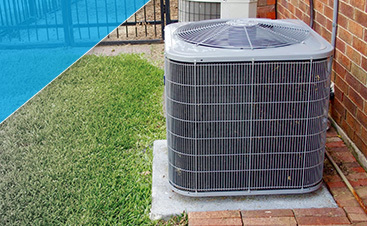 Even if it’s just checking and replacing the filter, having a certified HVAC expert take a look at your system every six months to a year can help you avoid major repairs. 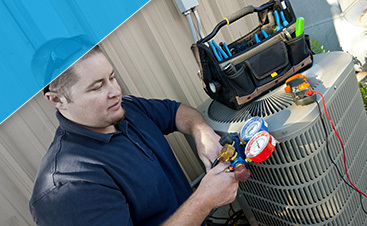 If there is something wrong with your heating system, our technician will find the appropriate replacement parts and speak with you before performing any repairs. Above all, we want you to be satisfied with the level of service you receive and feel confident that when we leave, everything is working better than it was before we arrived. There will come a time when your furnace simply refuses to work like it should. It might be an older system and instead of paying to constantly repair it, it makes more financial sense to simply replace it. When that happens, G&R can help you choose the best new model for your home, and we’ll handle all aspects of the installation. We can show you a number of energy-efficient options and recommend the best choice based on your heating needs. 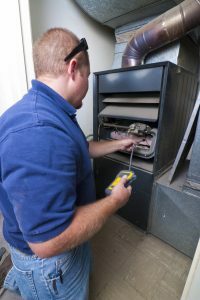 If your home in Elgin has a furnace that needs some attention, or you’re ready to remove that old appliance and replace it with a new one, call us today.